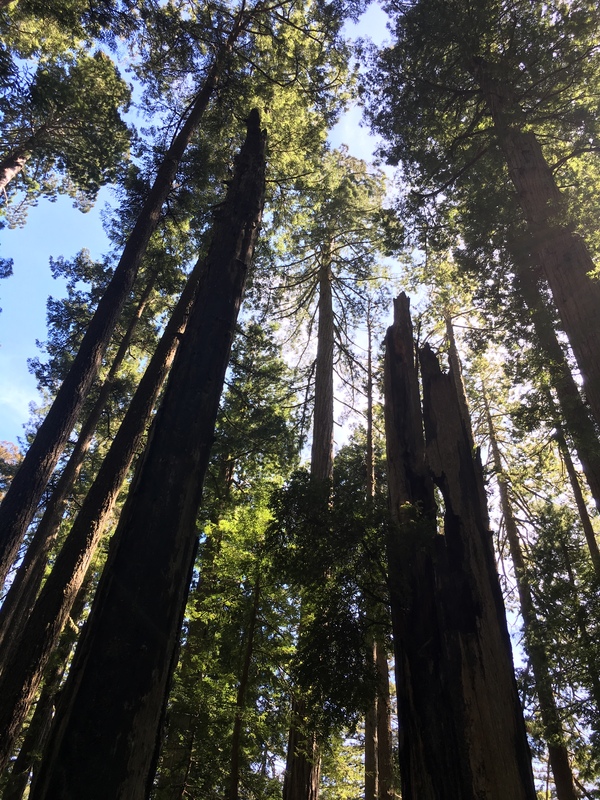 1 Coast Redwoods Over 50,000 Cubic Feet Volume – Ghosts of the Past? Have you seen the images of the redwood giants of the past, such as the 70,000 cubic foot Crannell Creek Giant? Or maybe the 393 foot tall Lindsay Creek tree, which is alleged to have been 90,000 cubic feet volume. Today, living redwoods approach the record heights of the past. For example the height of Hyperion redwood at 380 feet attains 97% of the 393 foot height stated for the Lindsay Creek tree. However the largest volume redwood, Spartan aka Grogan’s Fault, with 41.3 thousand cubic feet of volume, is just 60% of the volume of the Crannell Giant, which was accurately measured. Why is this, why are all the largest of the redwood giants gone? Or are they? When I was I kid in the late 1960’s I was always interested in superlatives, including the tallest tree. I remember reading heights for the tallest redwood given as 363 feet or 367 feet. 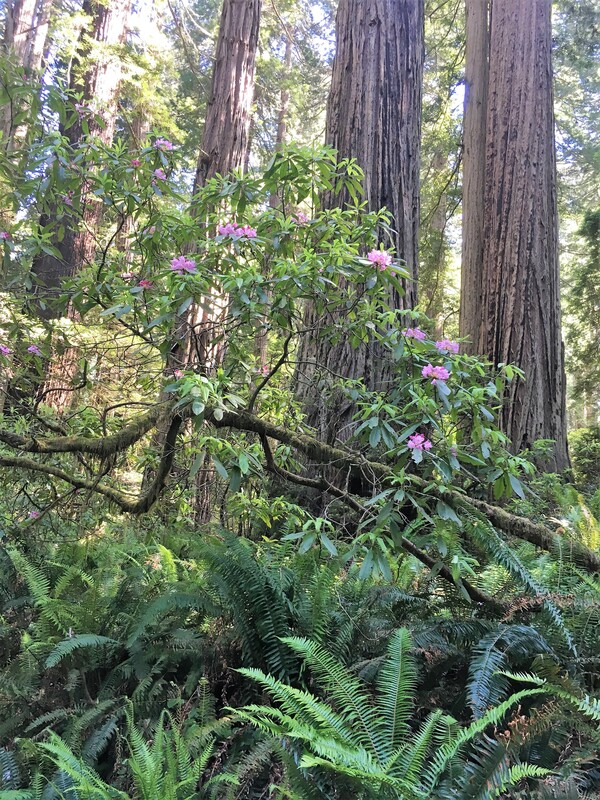 But right around that time there was an unannounced discovery of a 385 foot redwood growing on a flat along Redwood Creek near the Bond Creek outflow. This tree was one of the last to be cut down along lower Redwood Creek before the establishment of Redwood National Park in 1968. Starting around 2000 there was a new round of tall tree discoveries as laser range finders made it easier to identify tall trees. Hyperion and Helios were the new tallest trees found during this period, with heights 2.5% taller than the previously known tallest trees. Then in the late 2000’s LiDAR aerial surveys were carried out where entire groves could be definitively surveyed for height. From this came a list of a few dozen unknown redwoods taller than 106 meters in height, but none were taller than Hyperion. It is much more difficult to measure the volume of a redwood than its height. Any tree approximates a tapering cylinder and formulae for types of cones or canonical frustums need to be applied to sections of the tree to determine volume. On top of this, for the largest redwoods, they are going to be hidden among other smaller redwood trees, with their tops seldom exceeding the 106 meter height used to ground truth LiDAR height measurements. 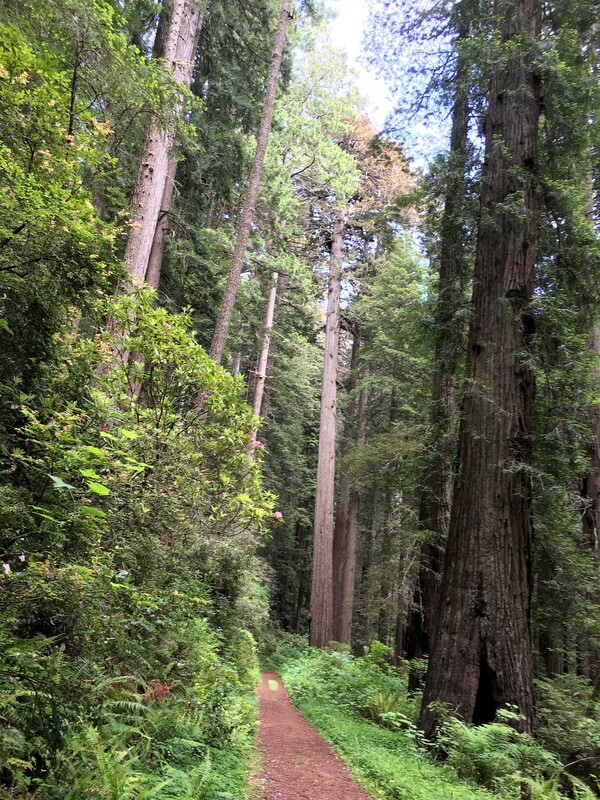 If you look at the largest redwood lists, it seems to be a list of the largest redwoods by a road or by a trail or along a major tributary such as Prairie Creek, Mill Creek, or Redwood Creek. Nothing there for redwoods growing along feeder creeks on schist benches with nearby springs. 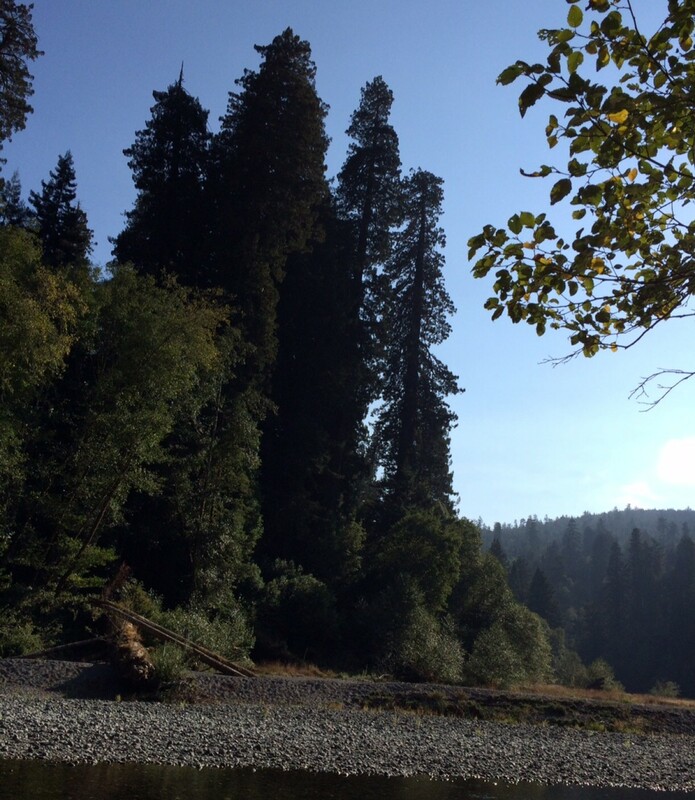 Some of the tallest redwoods grow up the feeder creeks, why can’t some of the largest redwoods as well? If there is a 50,000 cubic foot redwood still growing, it is well hidden. Like some smaller giants it would be maybe 325 feet in height, just a little too low to attract LiDAR height investigation. It would be away from a road and a trail and a major tributary. But maybe not too far away. It would be on a nice dark soil bench, with a seasonal spring close by. It could be in the big forest south of the old Redwood Creek mill site, or maybe in lower Lost Man. It could be on the hill above the Atlas Grove in Prairie Creek or maybe in the marbled murrelet wilderness in the same park. It could be in the Klamath area, or the untrailed tracts of Jedediah Smith Redwoods. A redwood tree of 50,000 cubic feet volume is not much of a stretch from the current largest known at 41,000 cubic feet. All you need is an extra six percent or so in both height and diameter to get you that extra twenty percent of volume. That is how the geometry works. 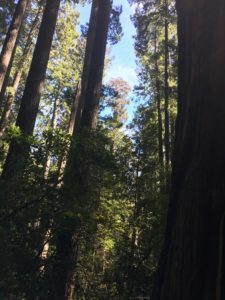 And that six percent is no more of a stretch than the fact a 385 foot redwood was found along redwood creek at the time when the tallest trees were thought to be around 365 feet. A 50,000 cubic foot redwood would be a ghost, a reminder of the start of the twentieth century with men in suspenders and derby caps and women in long flowing dresses with rolled up umbrellas posed around giant redwood trunks. I can picture such a tree, deep in a forest, over 300 feet in height, with a 25 foot diameter at chest height and a 20 foot diameter at 70 feet. With 26,000 cubic feet of wood in that section alone, and another 26,000 feet in wood above it. A 52,000 cubic foot redwood, right up there with General Sherman. This Redwood Ghost would look something like Howland Hill Giant or Sir Isaac Newton, only wider, especially up the trunk. It would have some big redwoods as neighbors with perhaps some tan oaks, Sitka spruce, and western hemlock sprinkled in, all in a carpet of ferns. Maybe I have seen this ghost, or maybe it was a dream. It was not a dream. Del Norte Redwoods State Park is much more than the land of high bluffs, fog, and lane closures between Klamath and Crescent City. There are some nice redwood groves in this park, with many trees over 300 feet in height. The Damnation Creek Trail really shows off what the park has to offer. Parking for this trail is on the west side of US 101 and I strongly suggest entering and exiting the parking area while traveling south as the northbound lanes include a passing lane with very fast traffic. The trail is not associated with Damnation Creek until the very end. Instead the trail winds down a separate valley just to the south of Damnation Creek valley. The upper section of the trail has some big diameter trees and nice rhododendron displays in May and June. Here are a couple pics of the rhododendron on the upper section of this trial. 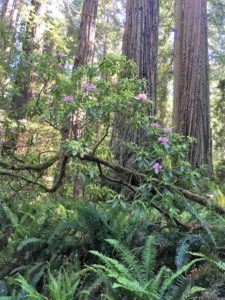 There is a remarkable grove with tall redwoods in the middle section of Damnation Creek Trail. This grove is along and below the intersection of the Damnation Creek Trail with the Coastal Trail. The redwoods are beautiful but end abruptly at about 500 feet elevation above the ocean where the bluffs get extremely steep. 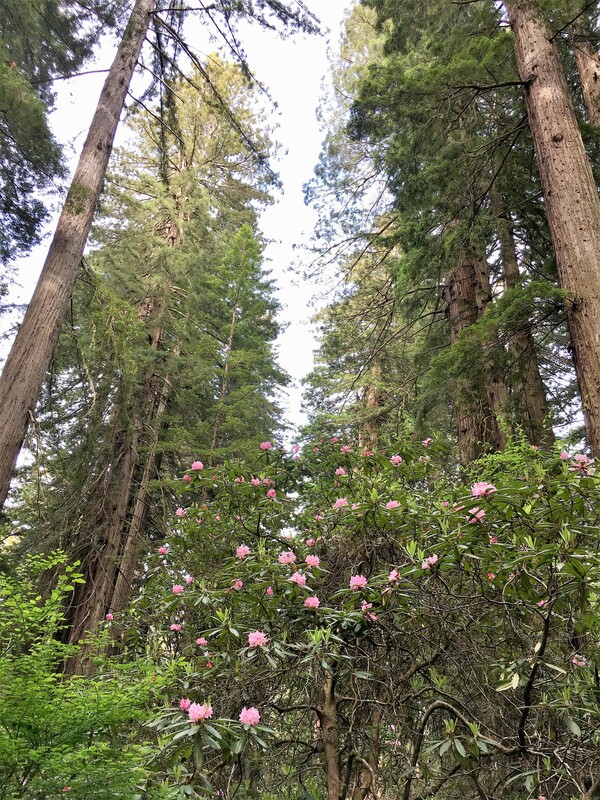 When near the edge of the redwood habitat the air carries the smell of the ocean, waves can be heard, and the blue ocean peeks through tree trunks and crowns. Below is a Coastal Trail / old coastal highway road marker for the grove, apparently erected in 1925. 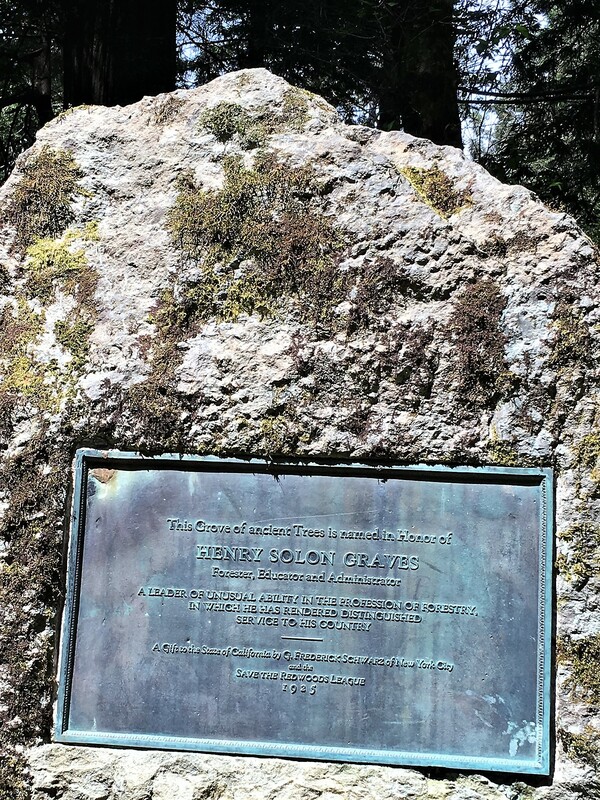 The grove honors Henry Solon Groves – “forester, educator, and administrator”. This marker is toward the south side of the canyon. Henry Solon Graves grove marker apparently erected in 1925. The coastal trail circles the entire canyon, and the Damnation Creek trail winds down along the north side. The redwoods are quite spectacular in the late afternoon, with their lower trunks shading each other but with the tops lit up by the setting western sun. The view from the tops of these redwoods must be spectacular. Here are some views of redwoods in this canyon from the Coastal Trail as well as from the Damnation Creek trail below the Coastal Trail.